This statue is of a World War One soldier, dressed in a military waist-length jacket, britches, boots, and a circular helmet. He is standing with his proper right arm raised in the air holding a grenade as if to hurl it and his proper left arm is holding a rifle by his side. The figure is placed atop an inscribed two-tiered base. The statue is marble and the base is granite. 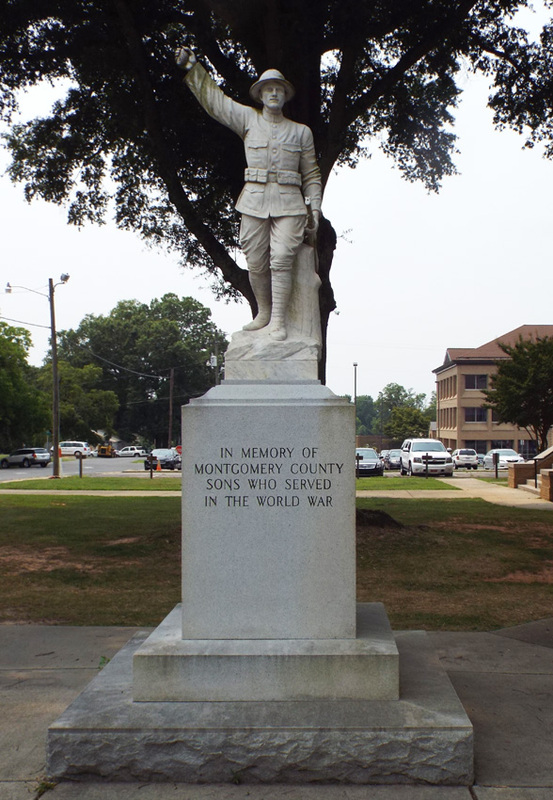 Although the figure is of a Word War One soldier the monument is dedicated to those who served in WWI, Spanish War and Civil War, and to women who “did their part in all wars.” Above the rear inscription to those who served in the Confederacy is incised a Confederate battle flag. The figure is approximately 5 feet high, the base is 6 x 7 x 7 feet. 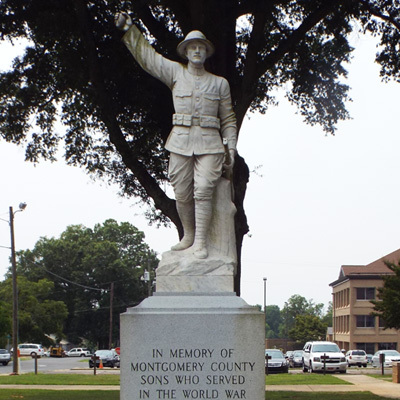 The memorial is thought to have been made by McNeel Marble Company of Marietta, Georgia. The statue is located at the corner of E. Main and S. Pearl Streets. It stands in front of the courthouse to the right.